For those of you interested in an Elephant Sanctuary we quickly want to say DON'T invest your money in an "elephant experience." Elephant sanctuaries are not sustainable and exploit already tame and tortured elephants for human entertainment. Read Why You Shouldn't Invest in an Elephant Sanctuary in Thailand for more details. 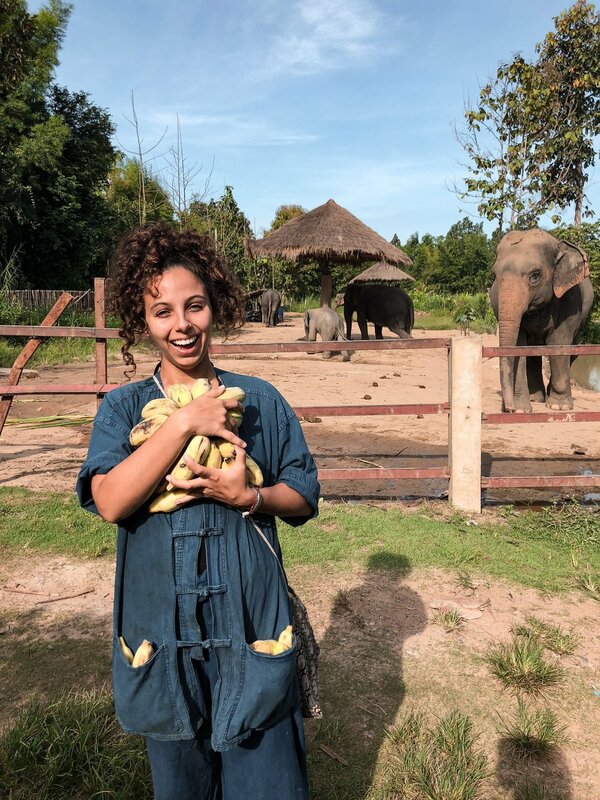 Now, if you're still curious about what a day with elephants is like we are going to break down a half-day itinerary at Maerim Elephant Sanctuary in Chiang Mai. There will be small differences between all the sanctuaries, but we have a strong feeling that elephant sanctuary experiences follow a similar schedule. A half day is full of elephant interactions. We felt a half day is plenty of time to get your elephant fix. Although we did enjoy our experience, we left feeling more guilty than joyful. Please remember sanctuaries are still exploiting tame and abused animals for profit and entertainment. A much more humane and conservative elephant experience is to see them in wildlife reserves such as the Huai Kha Khaeng Wildlife Reserve in Thailand. Sure you can’t touch and play with the elephants, but that is the point. Interacting with elephants requires them to be captured, tortured, tamed, and controlled. Let elephants be wild. Say no to elephant sanctuaries in Thailand!